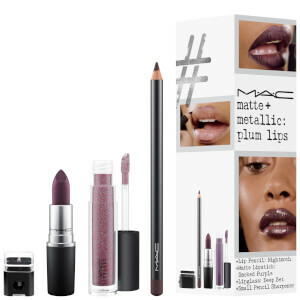 Achieve a glowing skin finish with the MAC Highlight and Radiance Kit in 'Medium Deep', a collection dedicated to highlighting your favourite features. 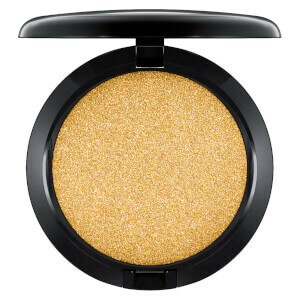 A velvety soft, slow-baked powder with a radiant, pearlised finish. Suitable for both the face and body, the luxurious highlighter sweeps effortlessly across skin, delivering an enviable shimmering effect. Use the domed powder dry to deliver a sheer wash of radiant colour, or apply using a wet brush for more dramatic results. The Skinfinish highlighter utilises MAC’s 77-Mineral Complex, which creates an ultra-soft formula that allows for comfortable wear. The product can be blended all over the face and body to produce an eye-catching, luminous polish, or used to add a light-reflecting finish to the high points of the face. A baked powder blusher that delivers an exceptionally sheer wash of colour with a luminous, pearlised finish. The lightweight, baked mineral formula effortlessly glides across skin, offering a sheer, natural-looking hue that can be made more intense by adding extra layers. Additional applications allow the blush to build lightly, without offering heavy coverage. The powdered blush is complete with super-fine, pearlised pigments, which when swept across the cheeks, lend skin an enviable glow and lustrous shimmer. 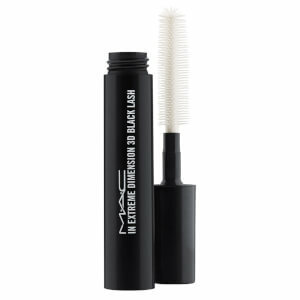 A medium-sized makeup brush ideal for applying powder, cream and liquid products. Made with synthetic blonde and white bristles, the face brush has a slightly rounded tip, allowing it to softly apply and diffuse makeup with seamless, professional-looking results. Hand-sculpted and assembled using only the finest quality materials, the brush utilises the latest in fibre technology to maximise performance and longevity of bristles. Perfect for applying blushers and bronzers. Highlighter: Apply to high planes of face (like your cheekbones) for a soft, iridescent highlight. After adding product on your brush, mist brush with Prep + Prime Fix+ and apply to high planes of face for a more intense, metallic highlight. Blush: Apply desired amount of product using brush and blend evenly. Dream combo! Always loved the highlighter but hadn't tried the blusher and now am obsessed.